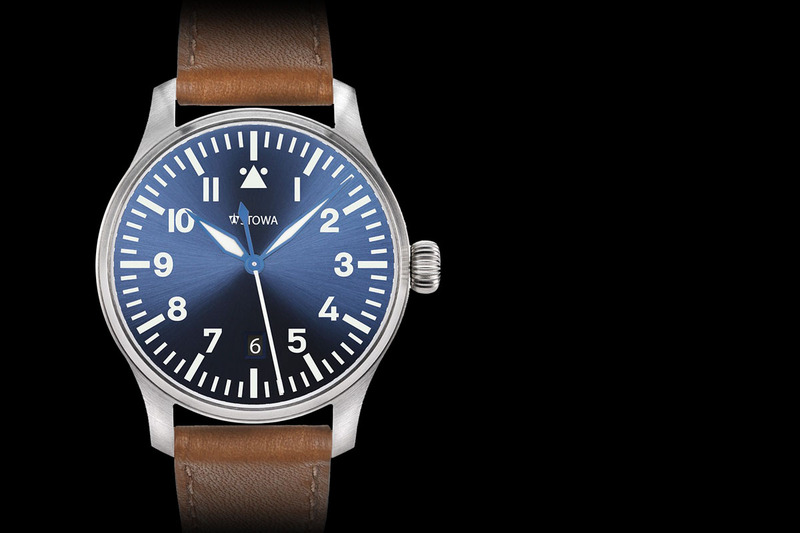 Tutima unveils a stylish pilot’s watch at an entry-level price. 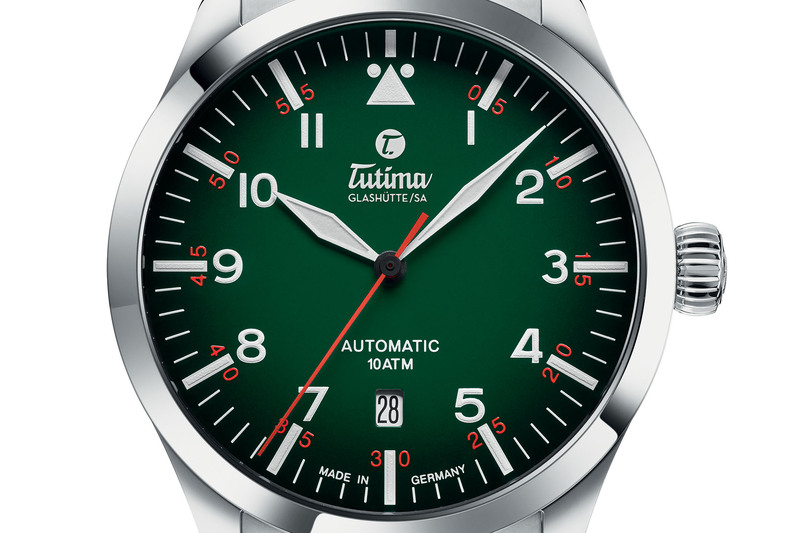 Tutima was founded in 1927 by Dr Ernst Kurtz, the director of Uhren-Rohwerke-Fabrik (UROFA) and the Uhrenfabrik Glashütte AG (UFAG). 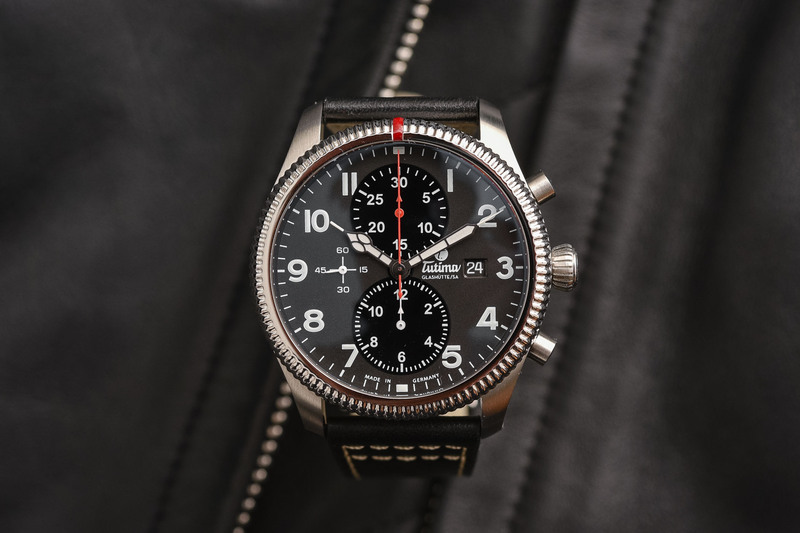 His best movements received the name “Tutima”, derived from the Latin word for “safe, secure.” In the late 1930s, the Saxon brand received a commission for its first pilot’s chronograph – something that would become one of the brand’s specialities. 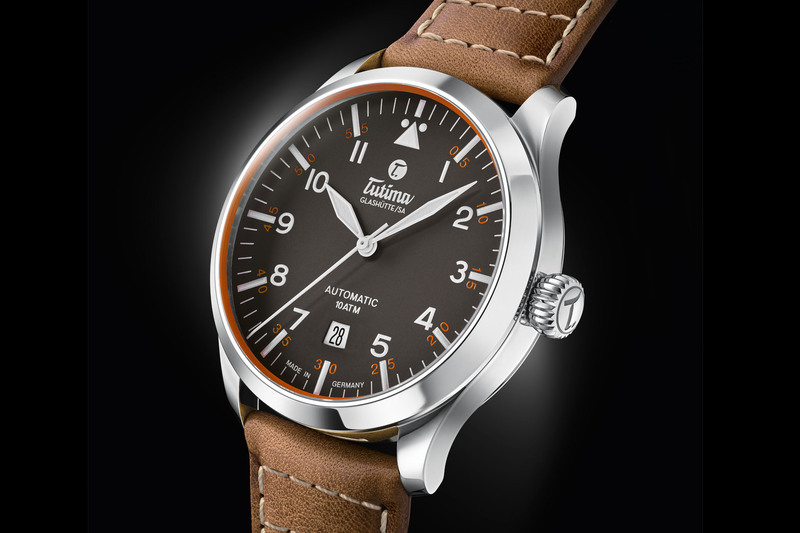 For Baselworld 2019, Tutima continues its long tradition of aviation-influenced designs and introduces the new Tutima Flieger, a versatile, dynamic and stylish three-hander at an entry-level price. As you would expect from a pilot’s watch, the dial features a utilitarian layout providing sharp legibility. It is framed with baton hour markers and Arabic numerals paired with lozenge-shaped hands. 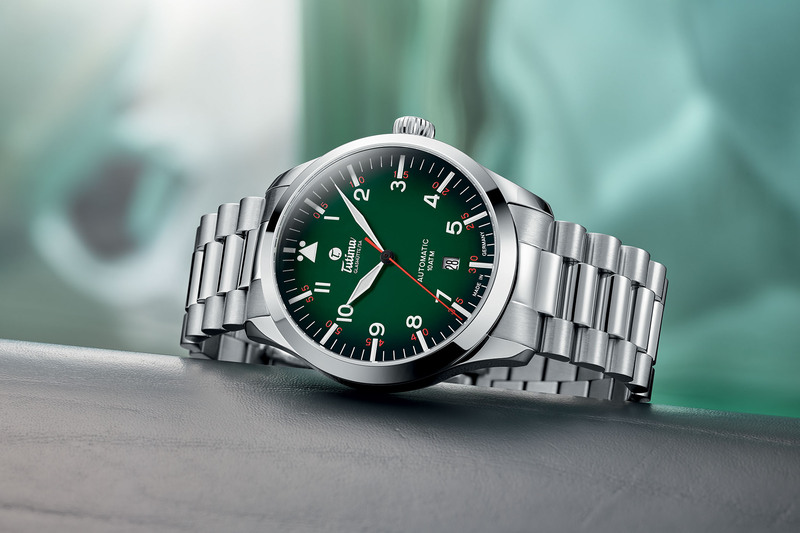 The signature triangular index to locate the 12 o’clock indication is present along with the generously lumed dial and hands to help users read the time in any light conditions. 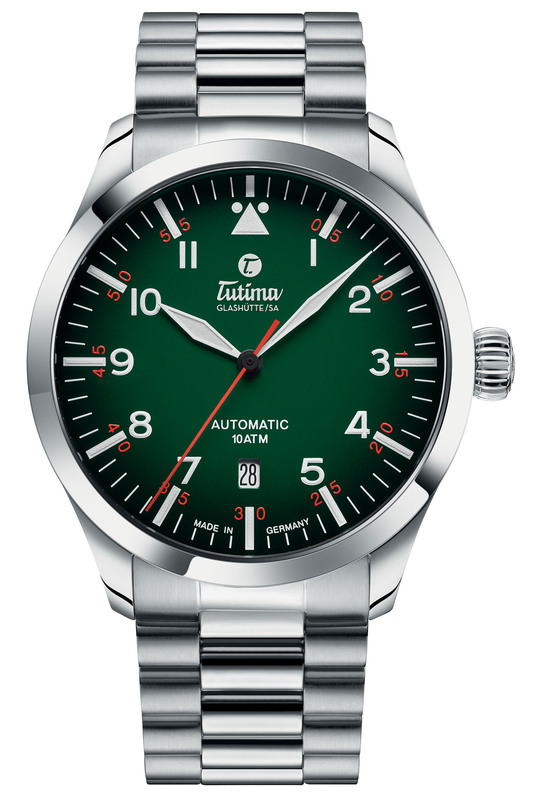 Different dial options are available, including a “night green” gradient dial along with black or anthracite dials. The red or orange numerals to indicate the minutes bring a sporty touch. 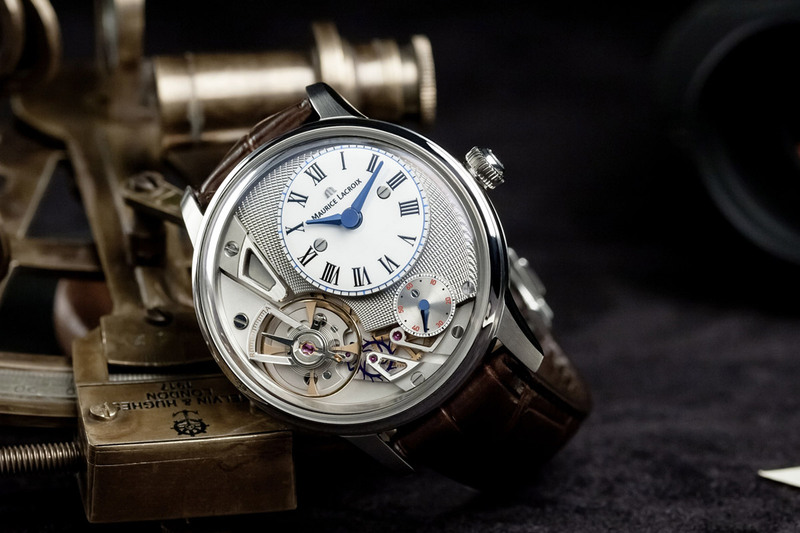 Measuring 41mm in diameter, the dynamic round steel case is simple, classic and nicely designed. It features short lugs and a solid sloping bezel framing a sapphire crystal with anti-reflective treatment. The large, easy-to-operate screw-down crown is engraved with the Tutima logo. The caseback is screwed and the water-resistance is of 100m/10 ATM. Turning the watch over, the exhibition caseback reveals the automatic calibre Tutima 330 movement (based on the functional and reliable ETA 2836). 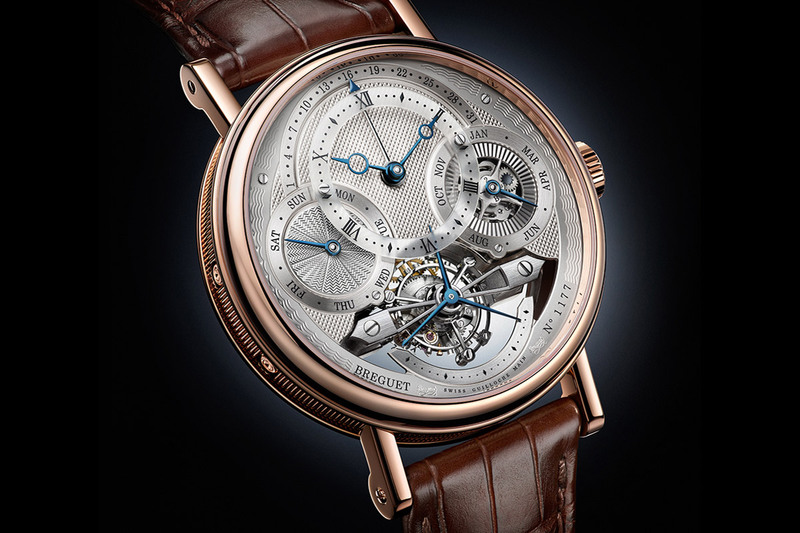 It displays the hours, minutes and seconds centrally. The date is indicated at 6 o’clock. 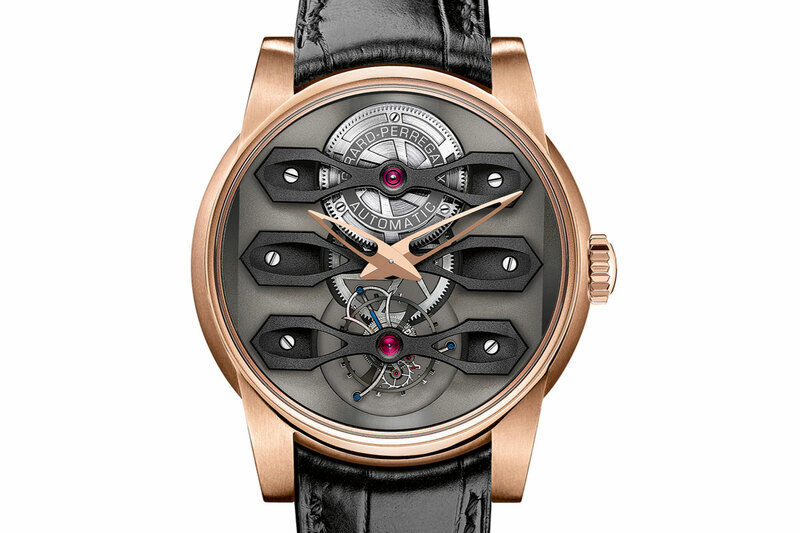 Operating at 28,800 vibrations per hour or 4Hz, it delivers 38 hours of power reserve. The regulator features an eccentric screw for fine adjustment. The rotor is emblazoned with a Tutima “T” gold seal. 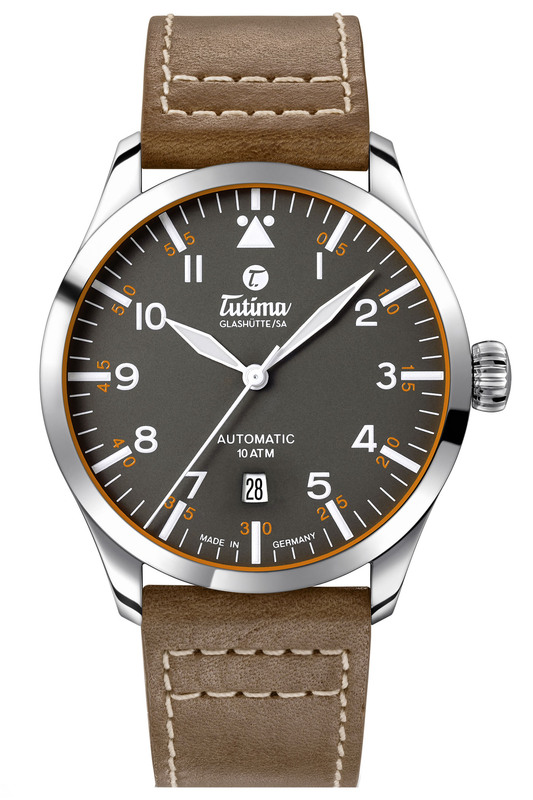 The new Tutima Flieger has an attractive old-school look coupled with a dose of modernity. It is completed either with a classic calfskin leather strap with white stitching or with a steel bracelet with a polished central link. Price for this affordable all-rounder is set at EUR 1,350 on a leather strap and EUR 1,600 on a steel bracelet. For more information, please visit www.tutima.com. This is what I like. A watch for telling the time with. Not a statement of wealth or a frou-frou re-interpretation. Just a solid watch for a reasonable price. Nice to see this at an affordable price point in a reasonable case size. I am a big fan of a flieger style watch, I already have a couple but there is always room for one more. Simple, stylish, nicely proportioned and with a larger crown ideal for us old timers with dodgy fingers!